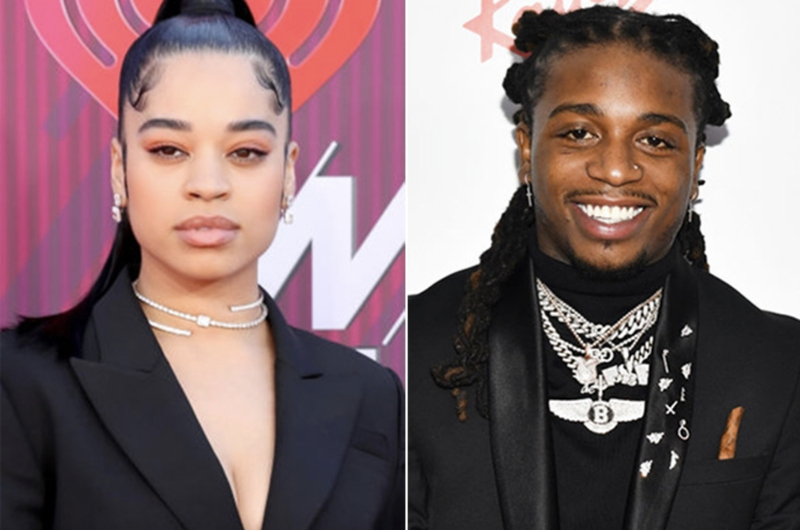 Ella Mai threw some shade at Jacquees after Drake and Tory Lanez brought him out on stage in London on their tour and performed his remix song for “Trip” being Ella Mai who originally came out with the single which made billboard charts. 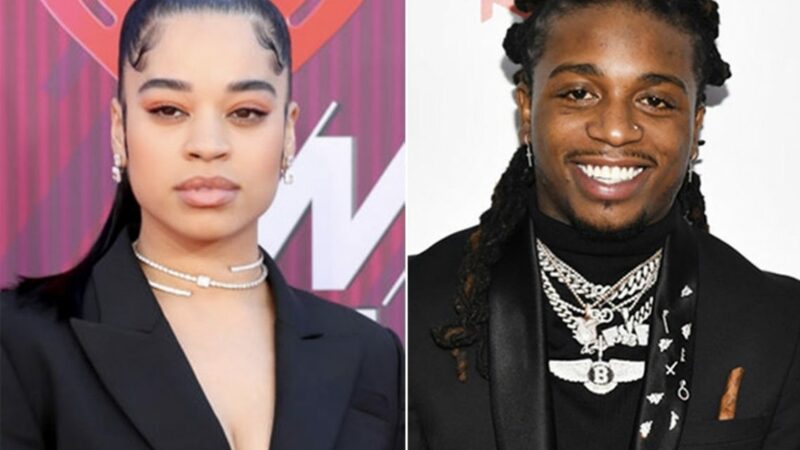 After her tweet surfaced all over social media still throwing shots at Jacquees for singing her song. 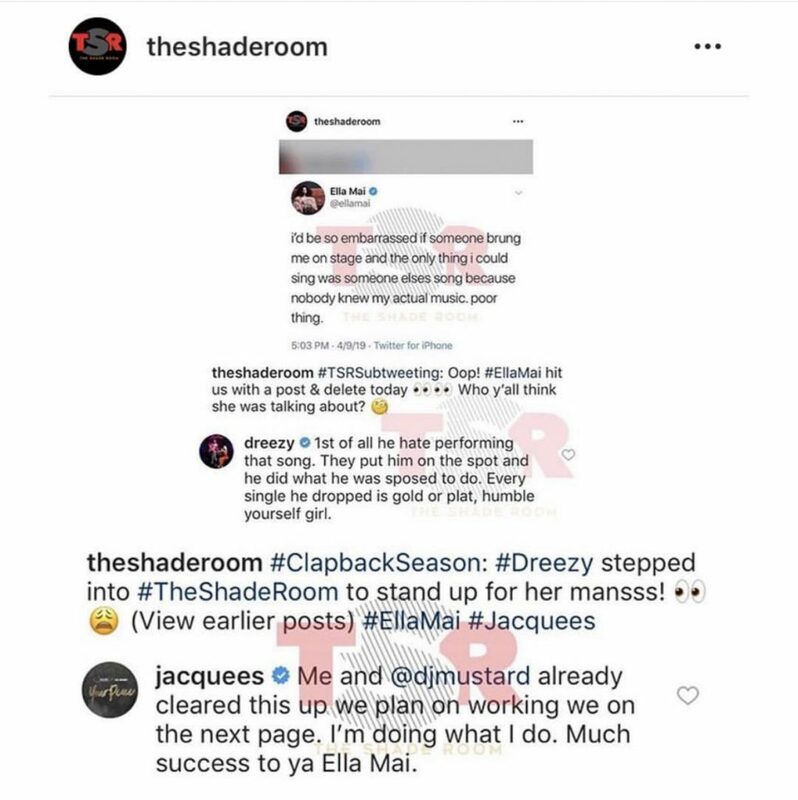 Looks like his girlfriend Dreezy wasn’t having it and replied back by defending her man. The Shaderoom posted all the drama. 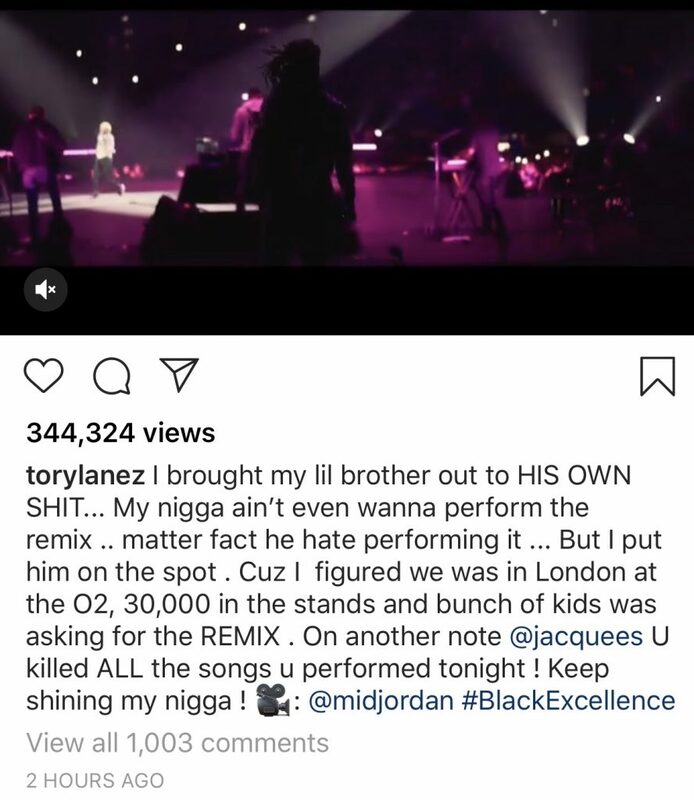 Even Tory Lanez came through defending Jacquees saying how he really didn’t want to perform that song. Rodriquez Jacquees Broadnax (born April 15, 1994), better known monomously as Jacquees, is an American R&B singer and songwriter from Atlanta, Georgia. 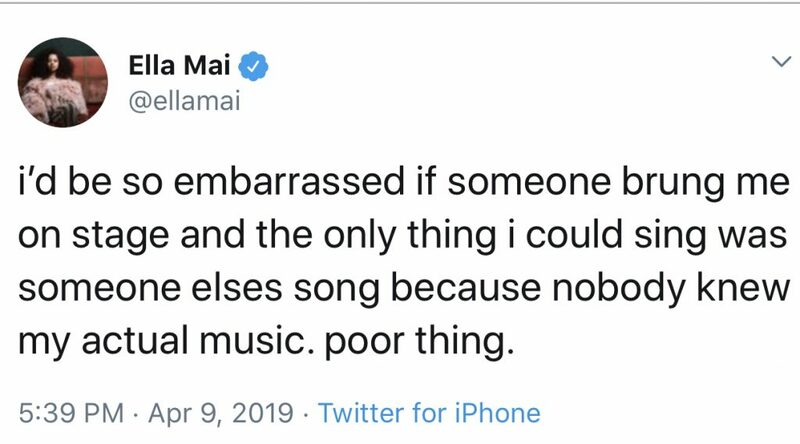 Ella Mai Howell (born 3 November 1994) is an English singer and songwriter. 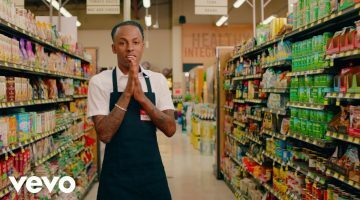 She signed to Dj Mustard label 10 Summers Records in 2014.